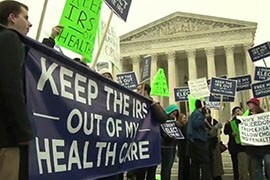 WASHINGTON – The Supreme Court appeared split Wednesday in the most recent challenge to Obamacare, a lawsuit that says the federal government should not be allowed to offer financial help to some insurance customers. 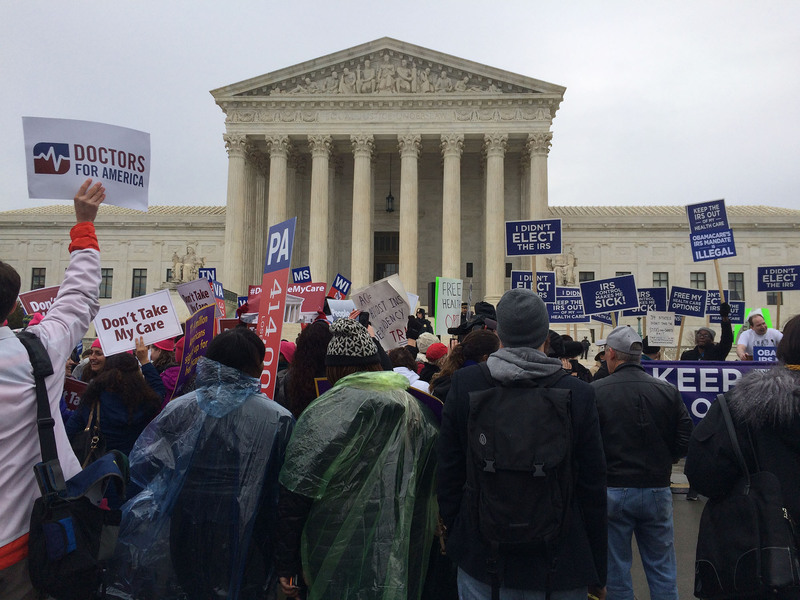 The case, King v. Burwell, is being closely watched by advocates who say loss of that federal subsidy could affect millions nationally and more than 155,000 Arizonans who currently have insurance, in part because of the benefit. Thirty-four states, including Arizona, never set up a health insurance exchange, instead relying on the Department of Health and Human Services and the federally facilitated marketplace, healthcare.gov, for individuals in those states. The challengers’ attorney, Michael Carvin, argued that those four words – “established by the state” – make it clear that residents of those 34 states without their own exchanges do not qualify for financial assistance. Justice Elena Kagan was quick to jump on that reasoning with an example using her clerks, Will, Elizabeth and Amanda. If she asked Will to write a memo and Elizabeth to edit it – but also told Amanda to write the memo if Will was too busy – who would edit Amanda’s memo? “Should Elizabeth edit the memo?” Kagan asked Carvin, explaining that Amanda was a substitution for Will – likening it to the fact that the federal marketplace is a substitution for a state marketplace. Justice Anthony Kennedy, a potential swing vote on the case, questioned whether limiting subsidies to those states that have marketplaces would coerce states into setting up exchanges. But Justices Samuel Alito and Antonin Scalia were just as vigorous in their questioning of Solicitor General Donald Verrilli Jr., who represented HHS Secretary Sylvia Burwell. 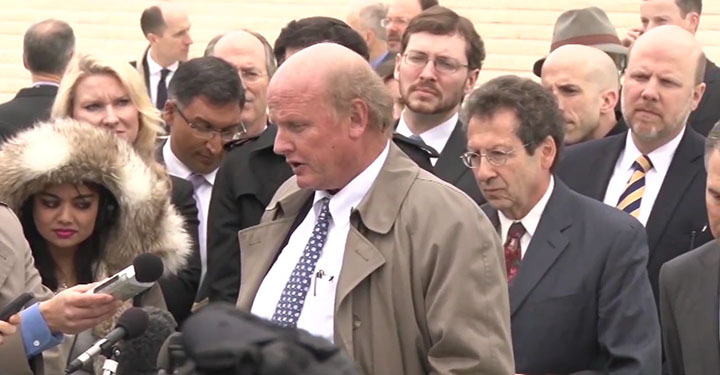 “Of course it could be,” Scalia retorted. While it might not be what Congress intended, Scalia said, the real question is whether it was what lawmakers wrote. But again, Scalia was quick to point out the haste in which Obamacare was passed. “This is not the most elegantly drafted statute,” Scalia said, who went on to wonder if this could be another “imperfection” of the law. Supporters on both sides said after the hearing that they are optimistic. The justices are expected to release their decision sometime before their summer recess begins at the end of June. The federal subsidy for health insurance under Obamacare benefits millions of people in the U.S., and more than 155,000 in Arizona, who could be affected depending on how the Supreme Court rules. Cronkite News' Tara Terregino has more from the court. The case challenging the subsidies for health-care coverage is the latest challenge to Obamacare to reach the Supreme Court. 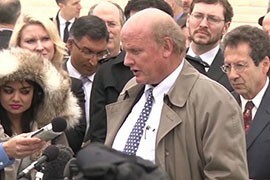 Supporters say a ruling against the govermnent could be "devastating" to the health-care law. 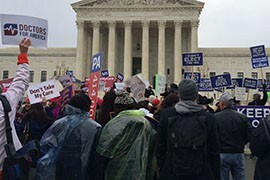 Michael Carvin, attorney for opponents of the health-care subsidy, argued the law is clear that residents of the 34 states without their own exchanges do not qualify for financial assistance.